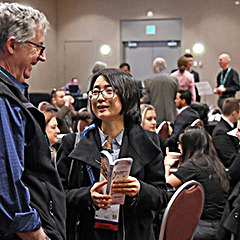 As a four-day interdisciplinary educational experience – including a three-day, leading-edge technical session program – the 2019 SME Annual Conference & Expo and CMA 121st National Western Mining Conference is widely recognized as the most distinguished forum for the publication of multidisciplinary mining research. 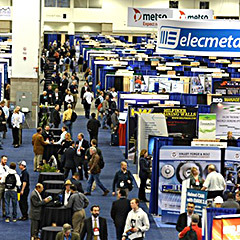 Additionally, the conference's expansive exhibit hall floor provides close-up views of the latest in mining technology and innovations, providing hands-on opportunities for creative collaboration with leading industry vendors. At SME, we understand the future of mining resides in the next generation of engineering and mining professionals. That is why we also include an integrated student focused program, allowing students from around the world to interact with the world's most innovative technology and accomplished mining professionals. Get ready! The 2019 SME Annual Conference & Expo and CMA 121st National Western Mining Conference features some of the biggest names in the mining industry today. Get a firsthand look at new products, comprehensive services and integrated solutions offered by our exhibitors. With more than 750 booths, our show floor provides you with the opportunity to meet more industry vendors than any other industry conference. For a complete list of exhibitors, visit our Exhibitor Directory. We are assembling some of the brightest minds in the mining industry today. 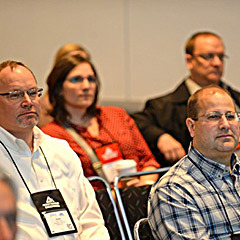 The 2019 SME Annual Conference & Expo and CMA 121st National Western Mining Conference technical sessions place a driving focus on the topics and trends that matter most to you. Information on technical sessions will be added as they are confirmed. 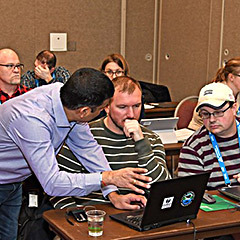 If you are looking ways to continue your education, take advantage of our 1-day and 2-day short courses offered at the conference. Offering a complete educational experience, these short courses cover the latest topics in mining technology, practices and innovation. Member, Nonmember and Student pricing are available. SME offers a comprehensive range of industry publications covering a wide variety of current and trending industry topics. From mine safety to structural design, our bookstore caters to your professional development. Expand your knowledgebase and gain actionable insight. Don't have time to visit our store on-site? Visit our bookstore online and see all of our available publications. At the 2019 SME Annual Conference & Expo and CMA 121st National Western Mining Conference, mining professionals just like you have the opportunity to mix and mingle with some of the leading educators, innovators and experts in the mining industry today. Expand your professional network and make new, lasting impressions with a variety of fun and engaging networking functions.